Although we experience loss and suffering, we know that the battle has already been won and that God’s time is always the best. Ms. Charlotte Makganya (27) years old lady came to testify about God’s time for her regarding the pregnancy problem she had experienced. She said she began fellowshipping at Rabboni Centre Ministries on the 31 of December 2017, during the crossover service. She had complications with her previous pregnancies, experiencing two unsuccessful pregnancies. She lost her first child in the year 2013 through a miscarriage and lost the second child in February 2017, who died two days after being born. Doctors did not know the cause of her problems. After the second pregnancy, she conceived the same year 2017 with her third child. However due to her miscarriages, she was scared that she might lose the third baby as well. She then decided to consult with traditional healers, where she was given strings to wear on her waist for her to secure her pregnancy. 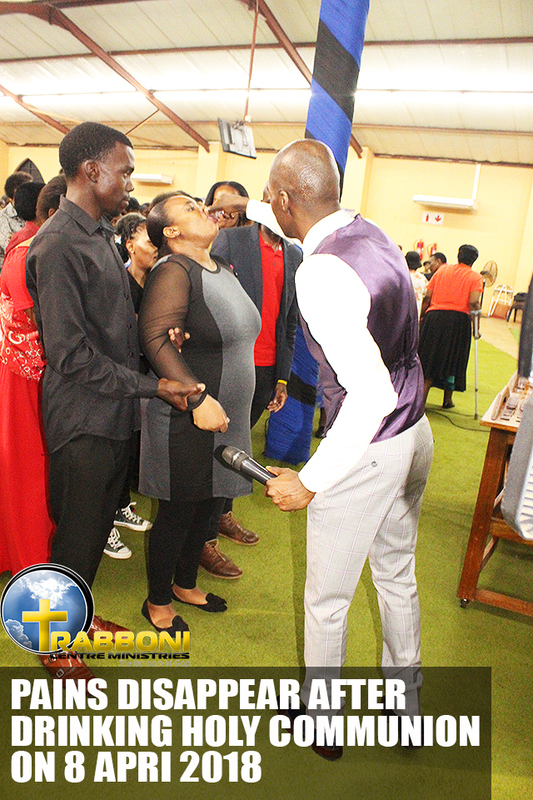 Ms Makganya came to Rabboni Centre Ministries and attended the service, just by coming to Rabboni the fear she had disappeared, because of the fear leaving her, she removed the strings which the other traditional healer had given her and believed that God is in control and that He will protect her and her baby. 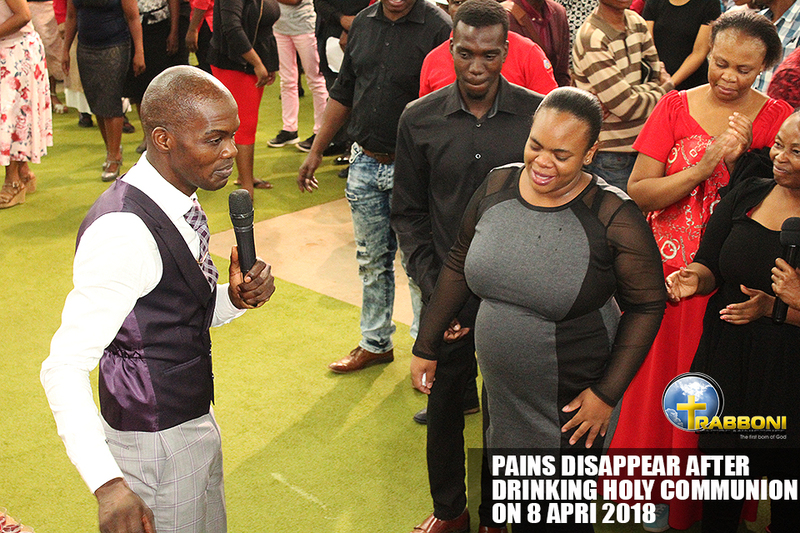 On the 8th of April 2018, Ms. Makganya attended the Holy Communion Service at Rabboni Centre Ministries, during the service while the Man of God- Prof. Lesego Daniel (Papa) was ministering, she began experiencing what seemed to be labor pains. On that same day, it was the Holy Communion service, she partook in the body and the blood of Christ and instantly the pains she was experiencing stopped. Ms Makganya gave birth to a baby boy a week after partaking in the Holy communion. Though he was not healthy according to the doctors repot at that time, saying that the baby’s sugar levels were low and resulted in him struggling to breath and being in the ICU (Intensive Care Unit) for a week. She administered the baby with the Treasures of Darkness anointing oil. Ms Makganya concluded her testimony by saying that ever since then, the baby is now a healthy and has not experienced illnesses by the grace and will of God.